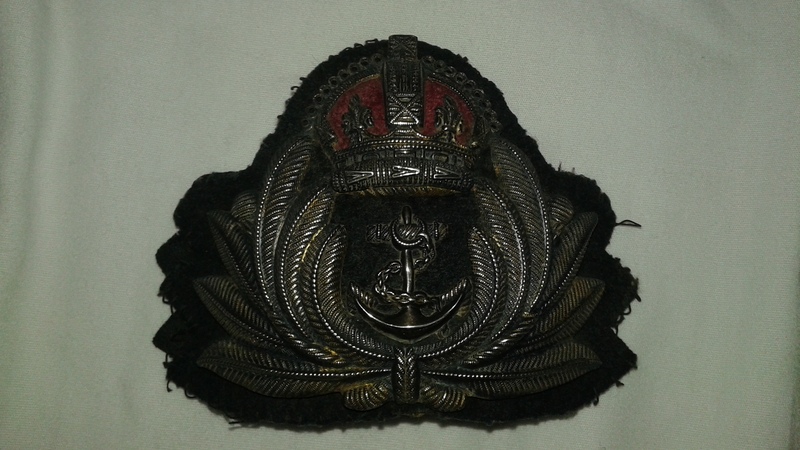 Unique Second War Naval visor cap insignia. Maker is Gaunt. Original gold wash has worn away to reveal a silver base. 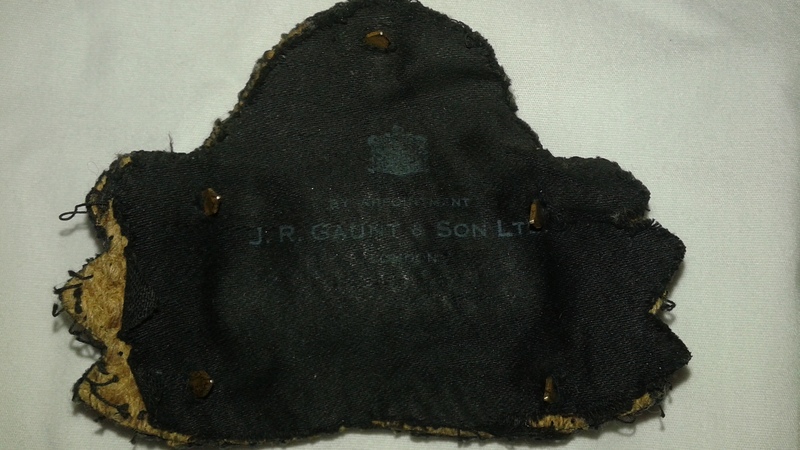 Normally this type of insignia is sewn to a hat band and then applied to the cap. This specimen has a tang back method of attachment. I have never seen a specimen like this before. It appears to be unaltered. Possibly for a higher ranking officer? Condition is very good.